Compete for a share of €2,500 in bonuses! 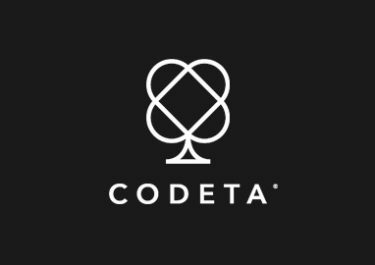 To celebrate true Live Casino skills, Codeta recently launched Skill Score™ on their tables from Evolution Gaming, a new feature for their players to evaluate their performance and compete against other players. The aim is to create a more exhilarating experience on the live tables. For the launch, they called out a race where the best skill scorers will share a €2,500 bonus prize pool. The race will be repeated every two weeks. Want to know how you are doing at the live tables from Evolution Gaming? Then Skill Score™, the new feature at Codeta Casino, will give you an exact score on your performance as an exact formula will calculate your progress on any of their live tables. Skill Score™ is determined by two factors that have the most impact on a player’s performance – the ability to win big and to keep winning over time. The first being called Big Wins and the second Dedicated Wins. Dedicated wins are calculated as the ratio between wins and losses, while big wins are summarizing earned pay-out ratios. A multiplier on each factor ensures top performances are really valued. No OPT-IN is required as the score starts counting after minimum 30 rounds and one win. Accompanying the launch of this new feature is a bi-weekly race with a €2,500 bonus prize pool. The TOP10 scorers will each win a share: 1st €625 | 2nd – €500 | 3rd – €375 | 4th – €250 | 5th – €200 | 6th – €175 | 7th – €150 | 8th – €100 | 9th – €75 | 10th – €50, credited as bonus money within 72 hours after the current race ended. Wagering requirement is 10x bonus amount, subject to the Codeta Casino bonus terms and conditions. Launched in 2016, the casino is operated by EveryMatrix N.V. under MGA and Curacao Licenses. Focused on Live Casino Games powered by Authentic Gaming, Evolution Gaming and Netent Live, they still offer a very large choice of slots and other games from Netent, 1×2 Gaming, Aristocrat, Booming Games, Elk Studios, IGT, Join Games, Microgaming, NextGen Gaming, NYX Interactive, Novomatic, Pariplay, Play’n GO, Red Rake Gaming, Quickspin and Thunderkick. Codeta – End of Summer Tournament!